Amazon.com Price: $22.46 (as of 23/04/2019 23:27 PST- Details)	& FREE Shipping. Kyolic ModuChol Daily Cholesterol Health. Description: Daily Cholesterol Health. May Reduce the Risk of Heart Disease. ModuChol: Heart Disease and Cholesterol Facts: Heart disease is the number one cause of death in the US, with elevated blood cholesterol as one of the most prevalent risk factors for both men and women. Foods containing at least 0.65 grams per serving of plant sterol esters, eaten twice a day with meals for a daily total intake of at least 1.3 grams, as part of a diet low in saturated fat and cholesterol, may reduce the risk of heart disease. 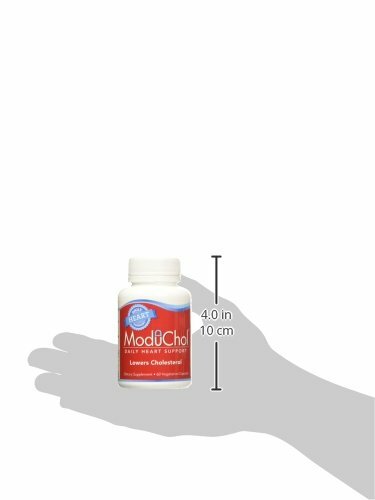 A daily serving (two capsules) of ModuChol supplies 1.3 grams of plant sterol esters. 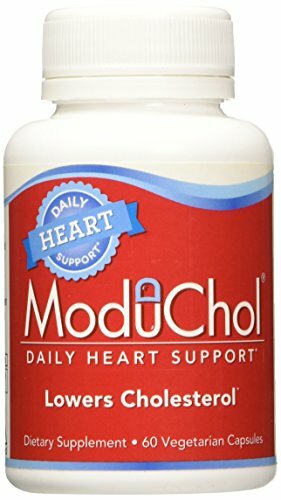 ModuChol, taken daily, may reduce the risk of heart disease by lowering cholesterol. What is ModuChol and How Does it Lower Cholesterol? 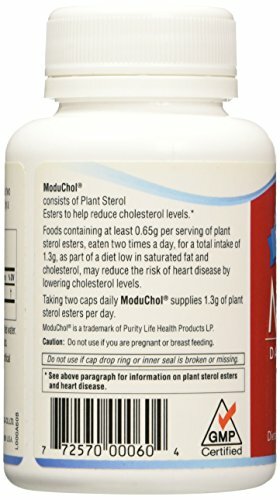 ModuChol consists of plant sterol esters, clinically proven to help reduce harmful LDL cholesterol levels, a major indicator for heart disease. ModuChol contains 0.65 grams of plant sterol esters in each capsule. ModuChol uses an innovative vegetarian Li-Cap or liquid capsule making the liquid contents readily absorbed. Plant sterol esters compete with dietary cholesterol, so when ModuChol is consumed with food, less cholesterol is absorbed by the small intestine, thus lowering harmful LDL. This cholesterol reduction may mean a reduced risk of heart disease. Is there any Clinical Research to Support the Benefits of ModuChol? Yes, the effects of plant sterol esters on cholesterol lowering have been extensively researched over the past fifty years and have consistently demonstrated an ability to lower cholesterol levels. Disclaimer: These statements have not been evaluated by the FDA. These products are not intended to diagnose, treat, cure, or prevent any disease.